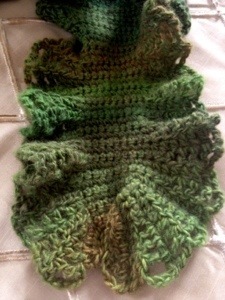 Used the lodo pattern of ravelry for this scarf. 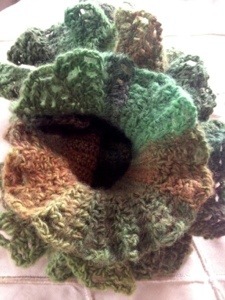 Also used lion brand amazing wool yarn. The colors remind me of camouflage.